Harshvardhan Kapoor will be seen doing death-defying bike stunts and hand-to-hand combat scenes in Bhavesh Joshi Superhero. Bhavesh Joshi Superhero will release on June 1. Actor Harshvardhan Kapoor, gearing up for the release of his forthcoming film Bhavesh Joshi Superhero, says people are starved for new kind of films. 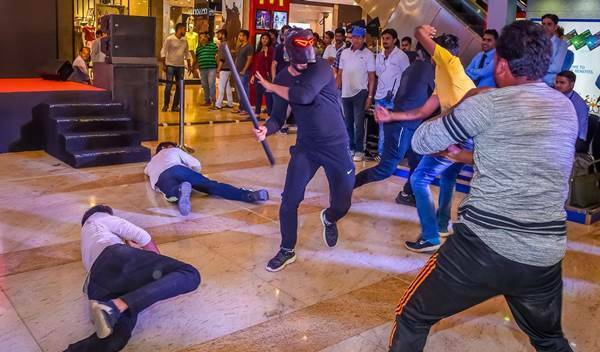 Harshvardhan was here with director Vikramditya Motwane at a shopping mall here on Tuesday to promote the film. Asked what kind of movies he would like to feature in, the one-film-old actor said: “I think I am too new and I think this film will help me to reach out to more people. So, I am taking small steps. The idea is to try and do new films so that’s a more challenging road. 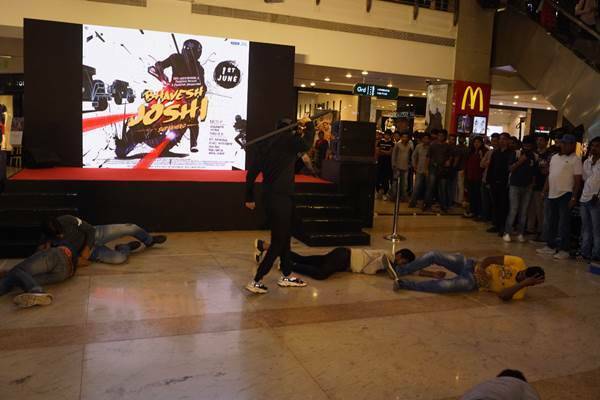 Harshvardhan will be seen doing death-defying bike stunts and hand-to-hand combat scenes in Bhavesh Joshi Superhero. Was doing action in the film tough? “It was very tough but not really because we loved the film and we believe in the film. We believe that people want new and innovative films. It’s a great privilege to get a chance to make those movies, so we have gone out there and done it. Now it’s for the people (to see), so we hope they like it,” the “Mirzya” actor added. Bhavesh Joshi Superhero revolves around a vigilante who fights against corruption. Bhavesh Joshi Superhero actor Harshvardhan Kapoor with director Vikramditya Motwane. Have you ever fought for injustice in personal life? “No… But I think I do it in certain ways in my own life because I am trying to do something through the medium of films. Hopefully, this film turns out to be an important one and I truly believe that no film really changes your life but it definitely plants a seed in your head. “I think films like ‘Rang De Basanti’ and ‘Pink’ have done it earlier, but what Vikram (Vikrmaditya Motwane) has managed to do is that he has managed to tell a very important story in a very entertaining way. I think being part of this film, I have become more aware about things. Bhavesh Joshi Superhero is an action film about a young man. Bhavesh Joshi Superhero is an action film about a young man who wants to continue doing the right and challenge the wrong. During this journey, he discovers that he is destined to do bigger things, which will transform him from a common man into a superhero. The film will release on June 1, clashing with Harshvardhan’s elder sister Sonam Kapoor’s Veere Di Wedding.